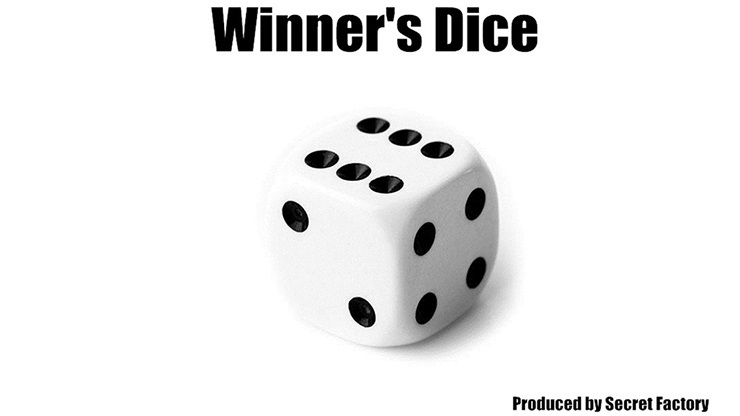 Winner's Dice is a normal-looking die that can force ANY NUMBER between 1 to 6. It uses a very special technology which makes our die fully examinable. The spectator can check the die and he can try throwing it to make sure the results are random. But actually, you are in control of the outcome! The forcing result can be changed during the performance, so you can do something like having two different predictions written on two white cards facing down -- one for you and one for your spectator. You throw the die, show the result and turn over the first card -- the prediction matches the number. Then the spectator throws the same die -- the result is different from the first time. Then he turns over the second card -- this card's prediction matches the second result! You can use this to make a prediction (even an open prediction) or mindreading routine, or you can also just use it as a force in your own routine. The power of this gimmick is limited only by your imagination!!! Remember: There is no switch. No other dice. Just one die can force 6 numbers. You can control and change the results in real time. No electric device. Spectator can throw the die themselves to complete the force. Fully examinable. Use any borrowed cup or glass or bowl. Very practical!